Though unable to clinch the league title, Luis Enrique’s last league game as FC Barcelona manager ended in a 4-2 comeback win. As well as the game itself, the boss reflected on the season gone by, feeling that a “lack of consistency” was the main reason why Barça fell just shy of the league title. “The team showed just how capable they are at turning around difficult situations,” he said after another turnaround victory. “I could not ask for anything more from the team, we fought until the end. We congratulate the champions,” he added. 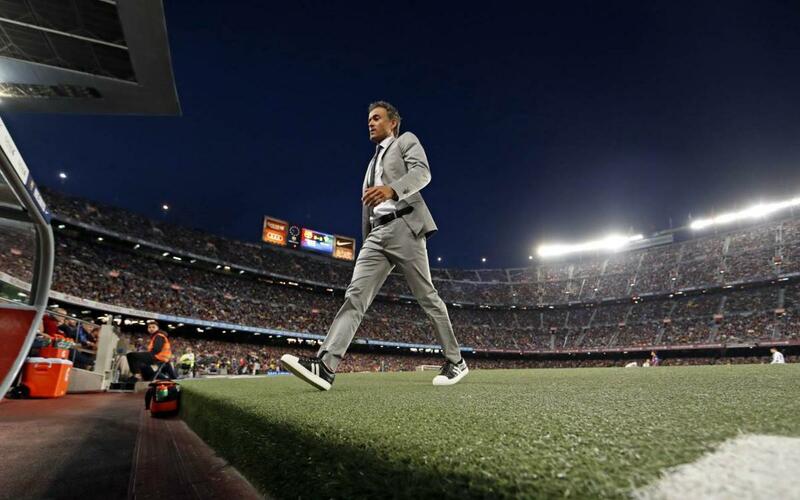 Luis Enrique thanked the fans for their support “because they are the best way to get results”. The manager’s name was sung by the fans at various points of the game. “I am happy, more than satisfied for all the years I have been at the club” and, in regard to the upcoming Copa del Rey final against Alavés, said he would like to “give one more title for the club”. "We are focusing on winning the Copa del Rey against Alavés who are one of the surprise teams of the season,” he concluded.